Last weekend, was the third edition of Magic Tree House Adventures. February theme was Hour of the Olympics and March was Leprechaun in Late Winter. 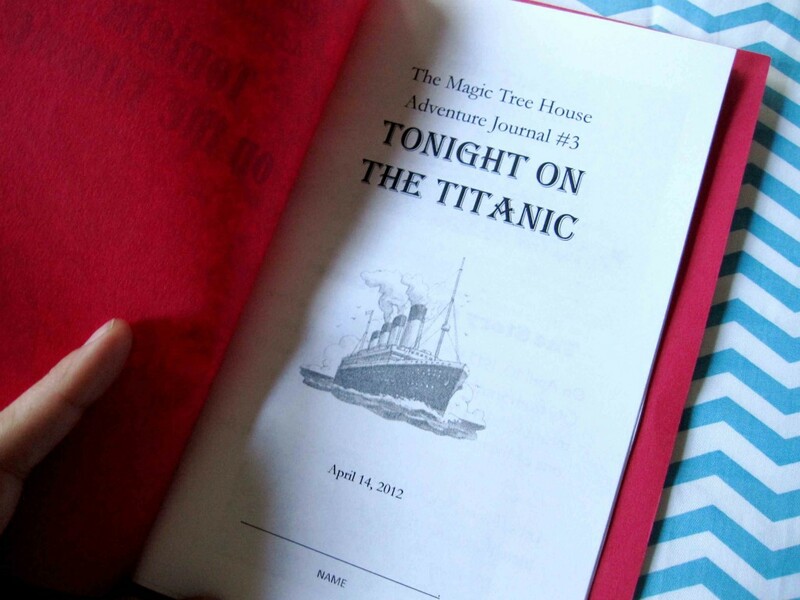 Since our April’s session happened to fall on the 100th anniversary of the Titanic’s demise and Kansas City’s Union Station is currently featuring a Titanic Artifact Exhibit, this month’s theme was based off of Jack and Annie’s adventure’s in the Magic Tree House book, Tonight on the Titanic. Where are we? Who are they? Where are we? Who are they? has become a regular activity for Magic Tree House Adventures. It’s a power point guessing game where we flash an image on a large screen and the kids guess the location of the picture, what is going on in the picture, or who is/are the person/persons in the picture. 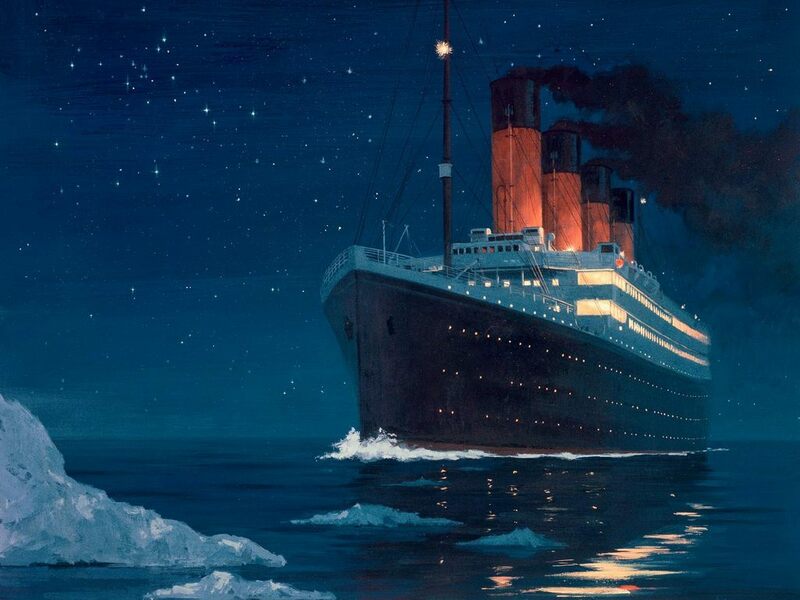 For the Titanic session, the primary focus was the timeline of events during the Titanic’s voyage, but also included important figures such as Captain Smith, Thomas Andrews, and Robert Ballard, iceberg facts, and what it was like traveling as a 1st, 2nd, and 3rd class passenger. For example, when this slide was displayed, I’d ask the kids… “Where is this? Is it someone’s house?” And their reply was, “No, it’s in the Titanic!”. 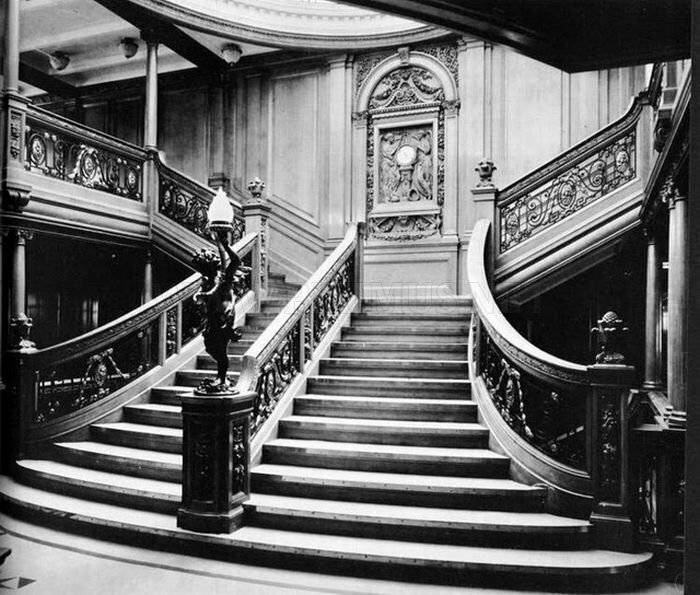 Then I would ask is this part of the Titanic the 3rd class travelers occupied? Was it 2nd? Or 3rd? Then we would talk about the different areas of the ship and the people who traveled on the Titanic. 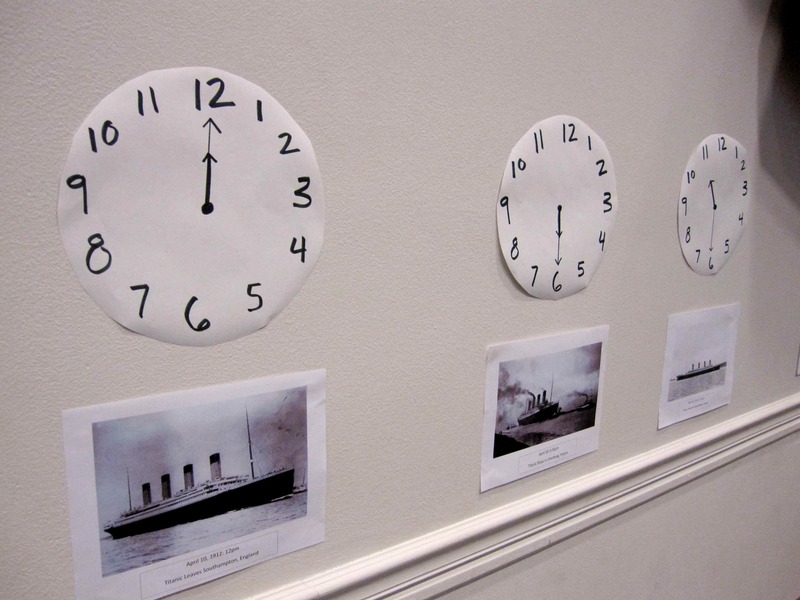 Posted around the room were clocks with pictures with pictures underneath in chronological order of important events on the Titanic voyage from April 10-April 18, 1912. April 11-14 – Titanic travels toward New York. Passengers enjoy journey. The plan was to do this outside with two teams, but we had severe weather warnings over the weekend and had to make do inside. 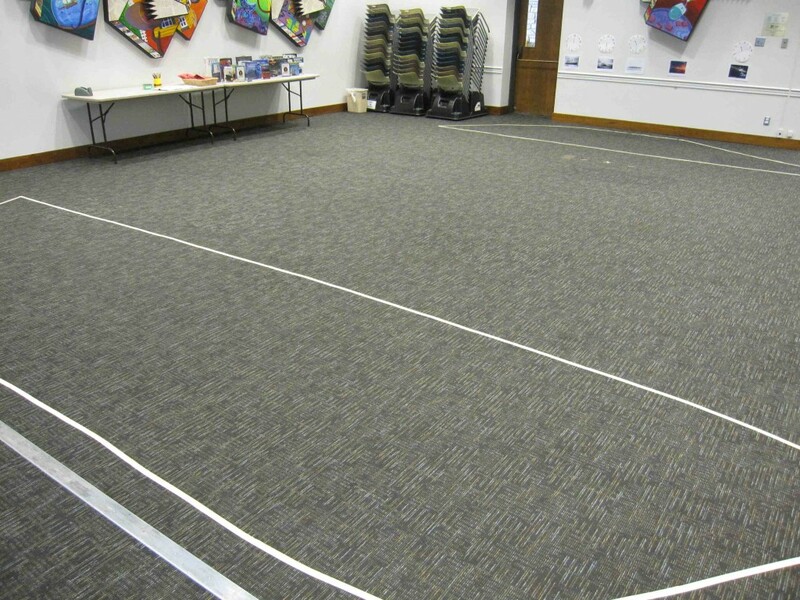 The plan outside was to have two Titanic ships (outlined in yarn) about 25 feet, side by side. And two rescue ships 20 yards away parallel the Titanic ships, also side by side. One team will step inside one Titanic boat, and the other team in the other. Using one hula hoop each team, acting as a lifeboat, kids have to figure out how to fit as many passengers into one hula hoop (lifeboat) at a time, walk to the rescue boat, and then one passenger, “the hero” is what we named this person, had to come back in the hula hoop (lifeboat), and fill it up with more passengers, and return to the rescue boat. This would be done as quickly as possible, and over and over, until the Titanic was empty. A race to see which team can get from the Titanic ship to the rescue ship without “throwing anyone overboard” and in the least amount of time. Since we played the game inside, we only had one Titanic ship and one rescue ship outlined in tape and the teams took turns. The first time the kids only had 1 hula hoop (lifeboat). The second time the kids used two hula hoops (lifeboat). The activity was meant to show the kids how much quicker their ship emptied with two lifeboats opposed to one, which is why after the Titanic sunk a rule was put into effect that every ship has to have more than enough lifeboats for every passenger aboard. If the Titanic had enough lifeboats, this tragedy might have been avoided. This was probably the kids’ favorite part of the session. In context, a bit morbid, yes. But I feel the point came across loud and clear. The majority of this activity and facts about icebergs came from Beyond Penguins . The day before, I made mini icebergs by filling water ballons with water, leaving them in the freezer, and then right before the class started, cut and peel away the balloon. With a couple clear glass bowls filled with water, some salt, and a little blue food coloring we had a couple iceberg models. Is more ice above or below the surface? A common misconception among students of all ages is that heavy objects sink and light objects float. While this belief may explain many examples, massive icebergs show that the density of an object, not its weight, is the cause of flotation. Water is one of the few substances that is slightly denser as a liquid than as a solid. This is why ice cubes float in water. Second, and slightly more interestingly: Most icebergs actually contain a lot of air. Far from being the solid blocks of ice many people imagine, icebergs are riddled with billions of tiny, trapped air bubbles, giving the huge bergs their white appearance. Third, icebergs are made from fresh water. 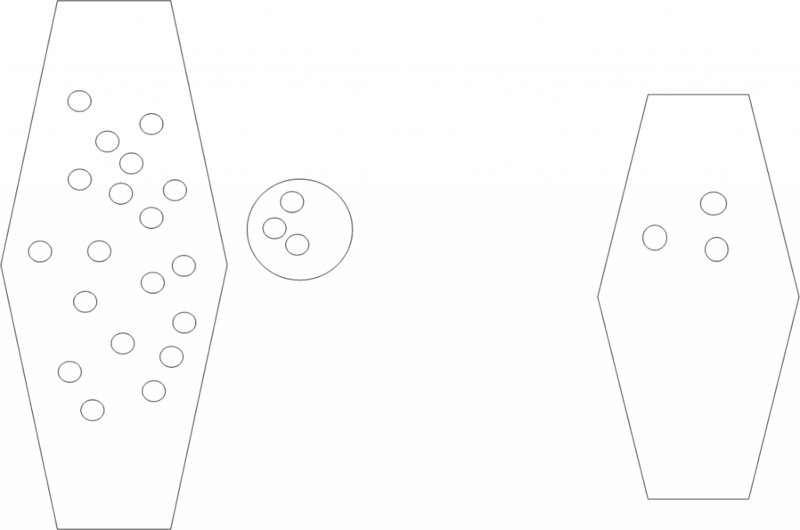 Because of the dissolved salts in ocean water, it is denser than freshwater, adding bouyancy to the icebergs. 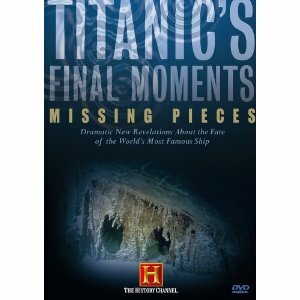 With only 8 minutes left, the kids watched a clip of what the Titanic looks like today documented from The History Channel’s Titanic’s Final Moments: Missing Pieces. At that point, the hour was up and it was time for the kids to go home! My co-worker, “Jack”, really does an incredible job putting these journals together. Had a great group of kids who seemed like they learned a lot and had fun doing it. Win! Another adventure under the belt. Hi Rebecca! I agree with Christina. Is there a way to purchase the adventure journals you have created? My students and are going to be using the Magic Treehouse books this new school year, and I have been all over the internet trying to find resources to use in conjunction with the books! 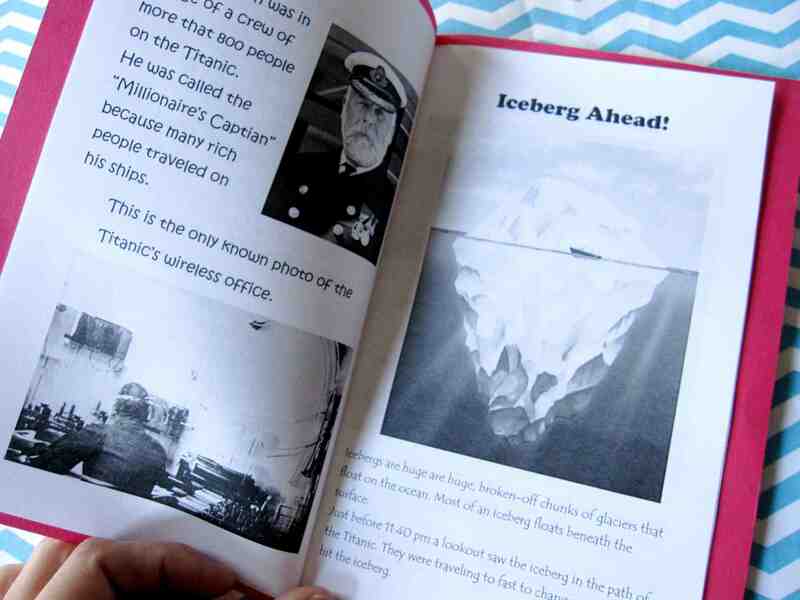 Would it be possible for me to get a copy of this Titanic Journal ? It looks great! I tried filling out the contact form but it told me it was unable to send due to an error? Love your ideas. We are just getting ready to work with the Titanic Fact Tracker and Tonight on the Titanic. I would love a copy of the journal. My kids would love it as well! Thanks in advance. 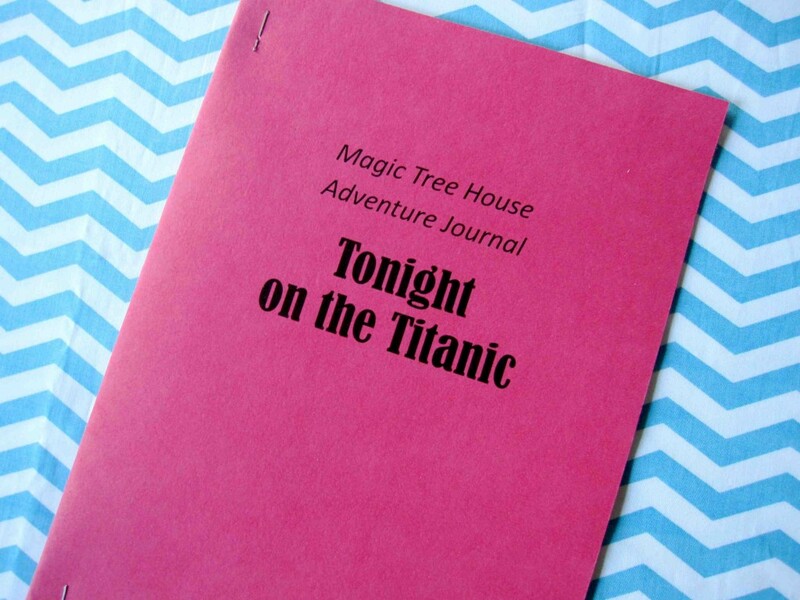 Could I have a copy of the Tonight on the Titanic Journal for my classroom? Thanks so much! This is awesome. Would you please send me a copy of your journal. I am teaching Magic Tree House Camp in July and this would make a great resource. Thanks so much. Love the journal idea! Could I please get a copy of any Magic Tree House journals you have? Awesome stuff! Thank you so much. Can I get your titanic magic tree house journal? I am working with some kindergartners on this book. Thanks! Hi! 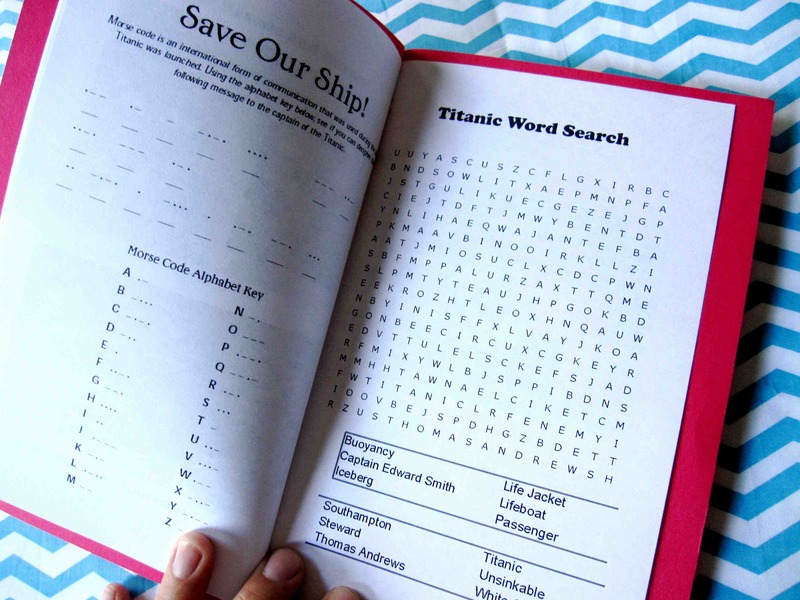 Is there any way to get a copy of your Titanic journal? My 6 year old just finished the research guide tonight and is so excited with everything he learned! I’m trying to find fun activities that will keep his excitement going! I’d love to get a copy of this companion journal. 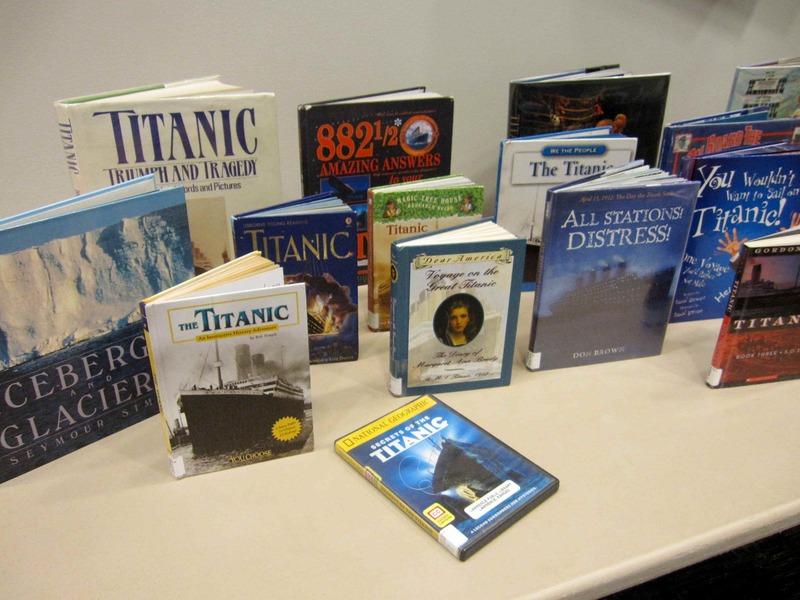 I’m trying to develop a super Titanic event for fourth graders. You are quite generous in offering the journals on your site. 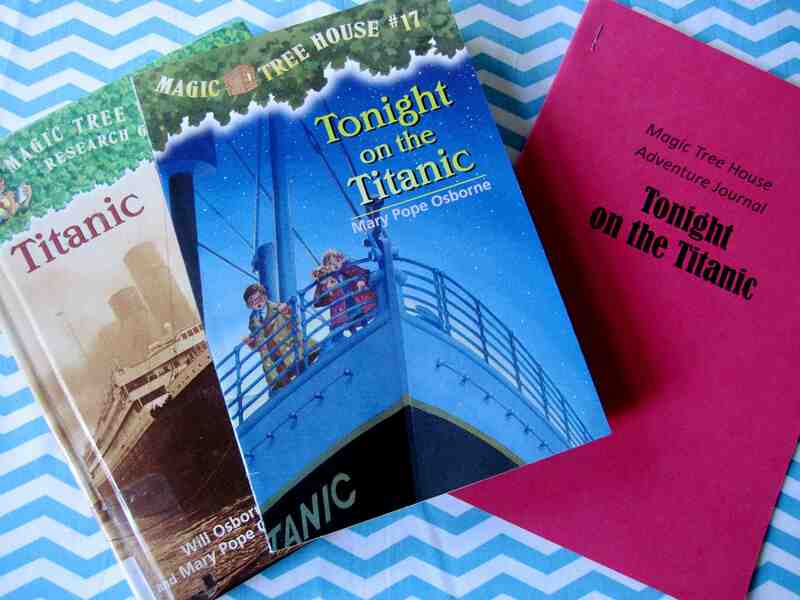 I would love a copy of the Titanic Adventure Journal for my own Magic Tree House Club! The other journals you have e-mailed have been invaluable in creating materials for my group. Thanks so much! I would greatly appreciate a copy of the Titanic and Mummies in the Morning Journals. I would love copy of titanic journal. Thank you. 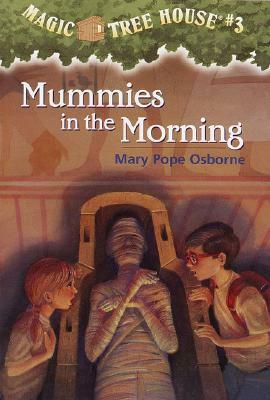 I would love and appreciate a copy of the Titanic and Mummies in the Morning journals. Thanks so much!!! I would love a copy of the Titanic Journal! They are great. Thanks so much. Hello! Your work is great!! I would like a copy of the Titanic Journal. Is that possible? Please let me know if any cost. I am very interested in your Titanic journal! Thanks for the ideas. Let me know if you are willing to share a copy. Hi there! I would love a copy of the titanic journal if you’re willing to share! Thanks! 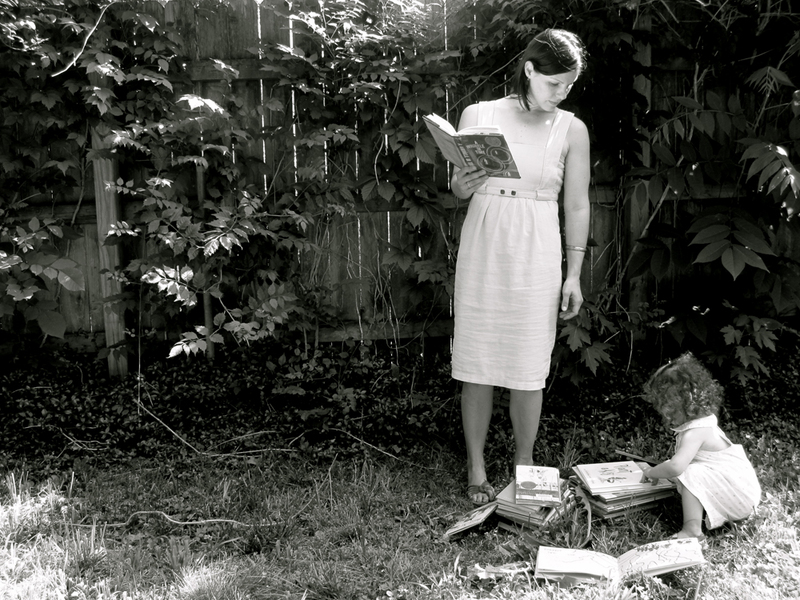 Do you have a TPT for these journals? I a, doing literature circles using all of the Magic Treehouse books this semester and these are awesome!!!!! I would love to have a copy of the Titanic Journal as well as Mummies in the Morning. Thanks! I would love a copy of your Titanic Journal! Thank you.